Juventus are one of the most coveted teams in the world. Winning 33 Scudetti that are symbolized by 3 golden stars and 10 Coppa that are represented by a silver star makes the Piedmont side one of the most successful side in Italy. No other Italian side has 3 golden stars or a silver star. Juve have also won the most number of Super Coppa trophies with 6 victories. Adding a Serie B title too, the Turin based side has won 50 domestic trophies making it the most successful Italian side. 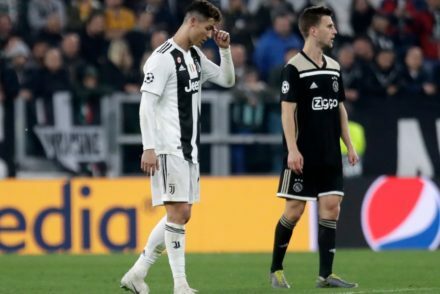 On the continental front, Juve have two European Cups/UEFA Champions League trophies to its name and have finished as runners up in the same competition the most number of times. The most coveted Italian side has also won three UEFA Cup trophies and are the second most successful side in that competition. 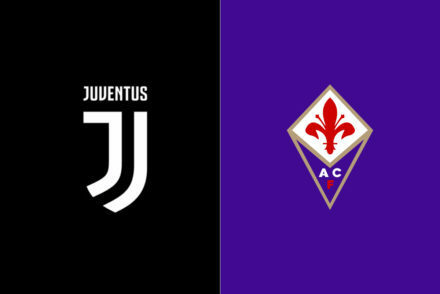 Along with two UEFA Super Cup victories, one UEFA Cup Winners’ Cup triumph and one UEFA Intertoto conquest, Juve have a total of nine European trophies making them the fifth most successful European side in history. Being the only side to win all the competitions under UEFA establishment, Juve became the first side to win the UEFA Plaque award. Globally, Juve have two Inter-Continental Cups. In total, La Vecchia Signora has won 60 major trophies making them the third most successful side behind Real Madrid and Barcelona. Apart from producing 22 World Cup winners for the Azzuri, La Madama has also produced six players to win France Football’s Ballon d’Or. With Michel Platini winning it thrice, Juve have produced eight Ballon d’Or winners. It will always remain the club to have produced the most players and won the most number of the original Ballon d’Or award. How is it possible to make a dream team of such an enormous side that is rich in pedigree collectively, as a side and as individuals that played portraying its colors? I will make a genuine attempt to give you my all time Juventus dream team. 4-3-1-2 has been one of Juve’s most successful formations of all time. Whether it’s Juve’s 1985 European Cup winning team or the one that reached the final in 2003, or even the side that lost out recently against Barcelona in the Champions League final, Juve have largely been successful using this formation. It is also one of my most preferred systems. An easy pick for me. Not because of the lack of quality throughout the history in this position but merely because of Buffon’s superiority over the rest. Despite not having the same caliber of defenders in front of him like Dino Zoff, the most expensive Juventus player of all time has continued to show the same consistency as the 1982 World Cup Winner. Co-incidentally Zoff and Buffon are the only two custodians to finish second in the Ballon d’Or award with Lev Yashin being the only goalkeeper to ever win the most prestigious individual prize. Eight Scudetti, one Coppa and four Super Cups apart from a couple of runners up medals in the Champions League. With over 500 appearances to his name, Buffon embodies the Juve spirit. What more can you say about a person who almost threw away his career while he was at his peak to stick with the club during the Calciopoli? An unpopular choice. The captain of the side, who not only left the sinking ship during the Calciopoli, but also said that the company deserved to be punished for its involvement in the most controversial scandal in the history of Italian football. Despite actually despising him, Thuram, in my opinion, is the best right back of my generation. Muscular, athletic, energetic, versatile and aggressive, the Frenchman was at the peak of his career when he joined La Vecchia Signora to become their second costliest signing of all time. The 1998 World Cup winner was one of the pillars of Marcello Lippi’s side after his arrival from Parma. Lippi often employed him as a full back but also featured him in the center of defense from time to time. Fabio Capello replaced Lippi and continued to rely on Thuram in his back line. The French beast was often to be deployed more at the heart of the defense in Capello’s two year stint. Four Scudetti, two Super Coppa and that European Final in Manchester was Thuram’s greatest achievements in the Black and White Stripes. My best memories of Thuram at Juve will be of him matching Roberto Carlos step for step along with bursting from his own half to score that electric goal against Milan in 2002. If Thuram was a beast then Gentile was a monster. Much like Thuram, Gentile had all those natural characteristics needed in a defender. The Tripoli born monster was a stalwart of Giovanni Trapattoni’s great defensive side and happened to be a part of the club’s most successful era. Like Thuram, Gentile was used not only as a full back but also as a central defender and he could play in a 3 or 4-man back line. A typical Italian defender that knew all the tricks in the book to win. An intimidating figure that would get into an attackers head and wind him up. Perhaps a certain Diego Maradona could shed more light on this. The Argentine genius was cautioned for urging the referee to penalize Gentile for the Italian’s repeated shackling when the two sides met in the 1982 World Cup. No one executed man marking better and more effectively than the former Varese man. 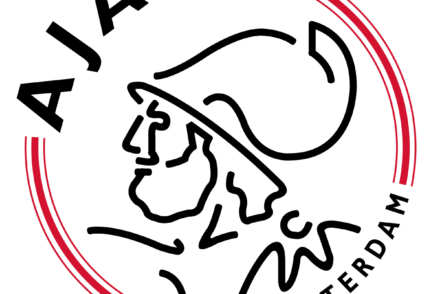 Gentile’s eleven years at the club was fruitful where he won everything that could be won at club level except for the European Cup, where he came close in 1983 when his side lost 1-0 to Hamburg in the final. Much unlike his Juve and Italian compatriot Gentile, Scirea was anything but a monster. He was a true gentleman that never received a booking throughout his entire professional career. Even describing him as a gentleman is an understatement to him and perhaps we need to redefine the word “gentleman” to “Scirea”. Scirea was a libero by art, a sweeper, who could destroy his opposition’s attack and construct an attack for his team. Not only was he great at defending but he would occasionally pop up in goal-scoring positions to fidn the back of the net while also being comfortable in possession of the ball and distributing it sensibly. I stress on the word “sensibly” as there have not been too many players in the history of the game to have been a more intelligent or better reader of the game than the Juventus leader. It will never be enough to illustrate the level of greatness of a man who won everything there is to win at Juventus and the World Cup for the Azzurri. How many players can you think of that repeatedly thank the journalists for interviewing them? Not many. How many players can you think of that were confronted by Maradona for their autograph? Maradona also uttered the words “captain” when he asked Scirea for his autograph. Like Scirea, Cabrini will be one of the most under-rated and under-recognized defenders of all time. Much like Scirea, there is no dispute to the quality of Cabrini. It’s also worth nothing that Juventus signed both Scirea and Cabrini from Atalanta. The Cremona based player was explosive on the left flank and had a magical left foot. He was very adaptable and could either be fielded in a 3 man a 4 man defense but still held a very high standard to his game. The most brilliant aspect of his game was his accuracy while delivering spectacular crosses. Currently the coach of the Italian national women’s team, Cabrini won it all with Juventus and was also an essential part of the 1982 World Cup winning team. The holy trinity of Gentile, Scirea and Cabrini formed the core of not only the Turin based side but also the Azzurri. Perhaps that is the reason as to why they enjoyed massive success on all fronts. “Leadership” is an over-used word in football but Trapattoni’s teams had the presence of multiple leaders. Cabrini was certainly one of them. When it comes to leadership, Juve will always be missing an element without Beppe Furino. He led Juve to their first ever European trophy in the 1977 UEFA Cup against Athletic Bilbao. He was arguably the greatest driving force at La Madama during the midfielder’s fifteen year stint at Juventus. Furino was a versatile midfielder that demonstrated everything. When Juve needed to stay in front, he would control the tempo of the game while orchestrating it as well. When Juve needed to score a goal, he would accelerate the team’s attack and also get into goal scoring positions. He would also retrieve possession and help in retaining it when things got scrappy. He also brought stability and balance to his side. Like many of his compatriots, Furino was a part of a very successful era at Juventus and won every trophy at club level barring the European Cup, in which he was unfortunate to lose out in the final twice. Though, Furino is one of the only three players to win the most number of Scudetti at a single club. Buffon and Del Piero are on par with him winning eight Scudetti each with Juve. Furino’s loyalty to the club is also one of the reasons for his inclusion. Speaking about loyalty, there are very few players in modern football that demonstrate loyalty to a club they did not start their professional career at, in the same way as Nedved. He could have left Juve during Calciopoli for another club searching for a Champions League trophy, which he would have eventually won. Nedved joined Juve to replace Zinedine Zidane and become their third most expensive acquisition. He ended Juve’s four year Scudetto drought by helping the Bianconeri to lift the Scudetto in the last game week. In the next season he helped his side retain the Scudetto and guided them to the final of the Champions League, which he missed after picking up a yellow card in the second leg of the semi-final tie, where he was instrumental. Nedved was at his best behind the attackers as an attacking midfielder but also featured on the flanks occasionally. Towards the latter stages of his career he dropped deeper into midfield. Jose Mourinho wanted him twice at Inter just before La Furia Ceca hung up his boots and it shows how good he actually was as a center midfielder. It’s hard to imagine a Juve team without Nedved in it and he was the best player I grew up watching. When you beat Zinedine Zidane, Luiz Ronaldo, Luis Figo, Rui Costa, Alessandro Del Piero and Theirry Henry in the same year to win the Ballon d’Or, your greatness needs no explanation. Perhaps, he wasn’t gifted with the same natural ability as Zidane but his work ethic was second to none. He had the complete package in a footballer: Quality, desire, work ethic, versatility and humility. Much like Furino and Nedved, Davids epitomized completeness. He is arguably the most complete midfielder in the modern era. The Dutchman was scintillating in his six seasons for Italy’s most coveted team. Davids made a switch to Turin from Milan, where he had struggled with injuries. It didn’t take him long to establish himself in the first team, where he would go on to win three Scudetti and lose out in three Champions League finals. He usually played in the center midfield and would drift towards the flanks to not only assure defensive security on the left flank, but also try creating goal scoring chances. At 5 ft 7, he was smaller than a lot of other strong midfielders of his era but that didn’t stop him from going toe to toe with them, and usually come out on top. Lippi often described him as his one man engine room for his unrestrained work rate. Along with his brute strength and work ethic, he also possessed a majestic level of natural talent. There aren’t too many center midfielders in modern football with the same natural ability as Davids. These qualities in addition to his great eye for a pass and his long-distance shooting, made him complete. Despite being diagnosed with glaucoma which almost ended his professional career, the warrior continued to carry on by sporting cool glasses that would let him to prolong his retirement for over a decade . The Pitbull will always be one of my most favorite players. These are words of Platini’s French compatriot Alain Giresse. Platini is one of the greatest magicians in the history of calcio. With him as the focal point of the team, Juve would play one of the most fantastic brands of football you would see. Quite possibly the world’s first goal scoring midfielder, Le Roi still holds the most number of goals (9) scored in a single European Championship and is the all time top goal scorer in this tournament.If that doesn’t impress you, The King is also one of the only two players in the history of Serie A to win the Capocannoniere three times in a row. The Capocannniere isn’t the only award that he’s on three occasions consecutively. He is also the only player to date to win France Football’s Ballon d’Or three years on the trot, also holding the joint record with Johan Cruyff and Marco Van Basten for winning the Ballon d’Or for the most number of times. Between 1982-1985, he won almost every individual award there is to win. As a team player, he scored the only goal against Liverpool that gave Juventus their first ever European Cup on that tragic night in Heysel. Being a vital part of the club’s most successful era, he pretty much won it all. Quite recently, France Football dedicated a whole section to Platini in their magazine and described him as a “combination of Zinedine Zidane, Didier Deschamps and Theirry Henry in the same body“. The French also wanted to rename Stade De France as “Michel Platini stadium” but the boss stopped them from doing so. These are some of the notable aspects of his five year spell at Juve that makes me say that he’s the best ever player to put on the Black and White Stripes. GOD. I’m not even stretching it. Del Piero will always be the GOD to most Juventini of my generation. His magical powers went to such an extent that he actually woke a child up from a comatose state after sending recorded audio and video messages. Del Piero and Juventus go hand in hand, they’re synchronous in nature. You don’t speak about Juve in general without mentioning Pinturicchio’s name and you don’t speak of Del Piero without referring to the Old Lady. Such is the superiority of this beautiful, everlasting bond between the two of them. Il Fenomeno Vero has won everything there is to win with La Madama with the exception of the UEFA Cup, where he lost out in the final. I won’t speak too much about his accolades and achievements at Juventus as it’s a universal fact in him being one of the greatest champions to have graced the beautiful game. I’ll just speak about the worldwide respect there is for King Alex. Maradona and over 80,000 people at the Santiago Bernebau stood up to give a standing ovation for him making him the first and one of the only two Italians of all time to receive this sort of appreciation at the Spanish capital. Andrea Pirlo was the only other one to receive it in Juve’s 2-1 loss to Real Madrid in 2013. As Pirlo noted in his book: “Sometimes I’ll find opposition fans applauding me when we play on the road. Del Piero went one step further: supporters of the other team put him on a pedastal because he was a one club man.” Perhaps that is why Gary Neville didn’t hesitate to choose Juventus as the club to play his farewell match against and the fans at Old Trafford didn’t take long to stand up and voice their appreciation for Del Piero when he was substituted. A fighter, that keeps winning despite all the odds. During the doping scandal, recovering from a long term knee injury, losing his father and taking the blame for Italy’s Euro 2000 loss in the final, Del Piero has risen like a phoenix from the ashes on each of those occasions. A gentleman of the highest order, that was the first to stick by his lady love during the Calciopoli. “Here comes our saviour” were the chants of the Juve tifosi when Il Gigante Buono was signed from Leeds United for a British record fee of £65,000 back then. Finishing ninth in Serie A the previous season, John Charles turned out to be the saviour that Juve needed, as he led from the front to win his side the Scudetti by becoming the Capocannoniere with 29 goals in his first season in Italy. To this day, he’s the only British Capocannoniere in the Serie A. One third of the holy trident of Boniperti, Sivori and himself, he would go on to become the captain of Juve later on in his five-year spell which comprised of three Scudetti and two Coppa. He would also finish third in the Ballon d’Or list in 1959. John Charles was a star in Italy and massively admired by millions of people. It’s worth noting that despite being a Welshman and playing in Britain, he was much more recognized in Italy than he’ll ever be in the UK. The admiration for John Charles from the Italian public didn’t stop there. He was also voted Serie A’s greatest ever foreign player by the Italian public ahead of the likes of Marco Van Basten and Diego Maradona. Never did a man have more influence on a team than The Gentle Giant in the history of calcio. Juventus would go a step further and recognize him as their greatest ever foreign player of the 20th century in a list of non-Italians that range from Sivori to Hansen and Platini. He was a GOD for the people in Turin and he always repaid their support for him. 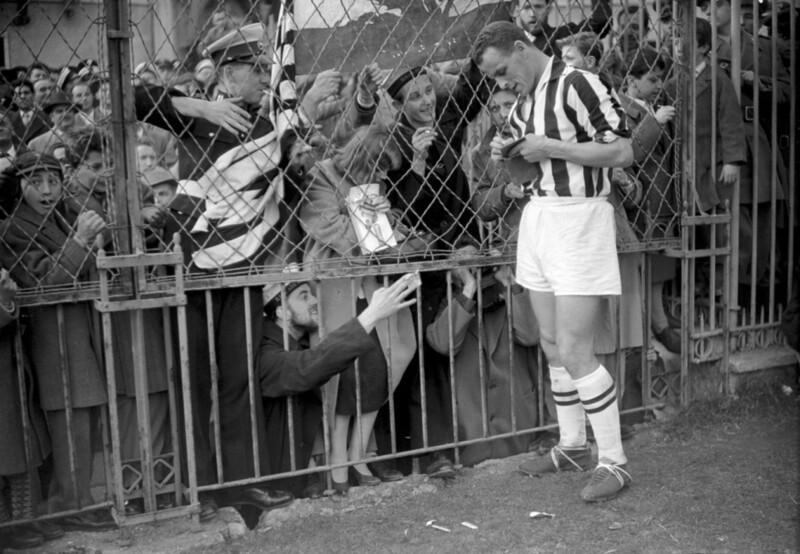 John Charles would visit Turin regularly where he would always be greeted with love. Despite having a medical condition and towards the later stages of his life, the Welshman decided to visit Juve one last time. He was received with great applause from a Stadio Olimpico that housed 40,000 people. John Charles would also meet the rest of the squad such as the likes of Del Piero and Nedved in 2002. Adoration. How many coaches do we know of that are equally respected by Juve, Inter and Milan? None other than Il Trap. After inspiring the Rossoneri to third place, finishing seven points behind the Granata and five behind the Bianconeri, Trapattoni was still only 37 when Juve wanted to hire him as a coach. He turned out to the right man that Juve needed to topple their city rivals Torino to seek another Italian title. Trapattoni was the main man on the bench during the most successful period in the Juve history. He won 6 Scudetti in his first spell and still holds the record of winning the most number of Serie A titles in the history of Calcio. In his first spell, Juve won every major honor domestically and in Europe. The Professor was the inspiration behind La Madama tasting glory for the first time in UEFA Cup, UEFA Cup Winners’ Cup, UEFA Super Cup, the European Cup and the Intercontinental Cup. After ten years of dominating Italy and Europe, Il Trap left Juve for Inter before returning back to Juve and winning another UEFA Cup. Trapattoni’s work in his three-year second spell was significant as he promoted the likes of Del Piero into the senior team and laid the ground work which his successor, Marcello Lippi massively benefited on. 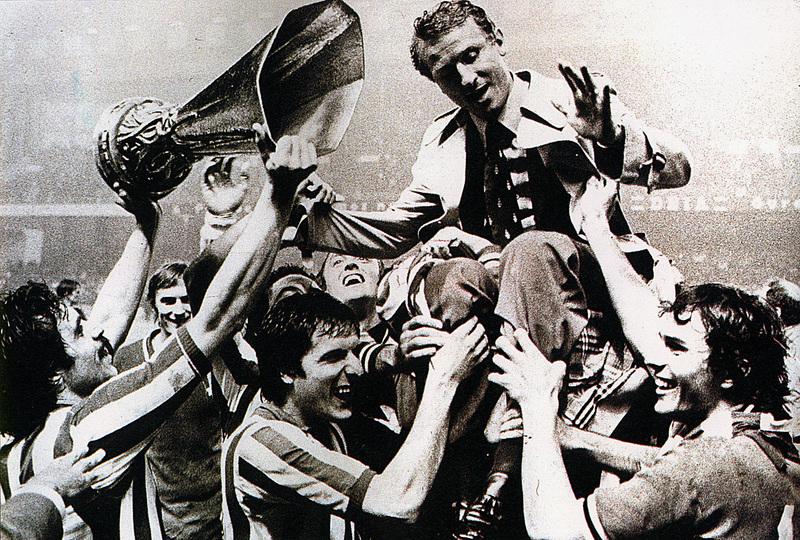 Trapattoni is one of the only four coaches ever to win a domestic league title in four different countries.